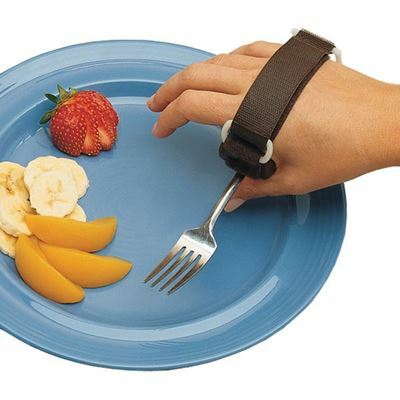 Specially designed for quadriplegics. 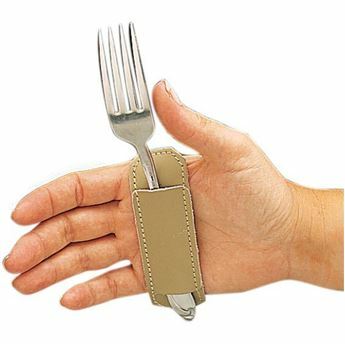 This hand-strap with utensil pouch helps persons with limited or no grip to use cutlery and writing instruments. 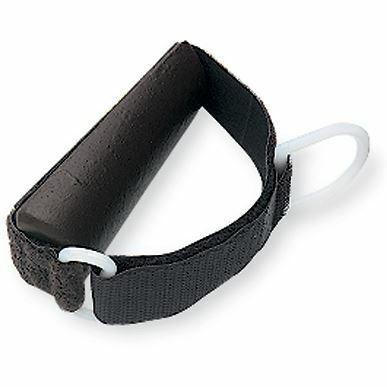 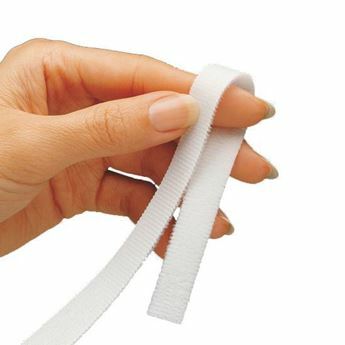 Built-up plastic block has hook and loop closure on a D-ring strap. 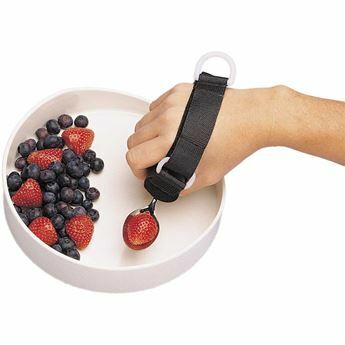 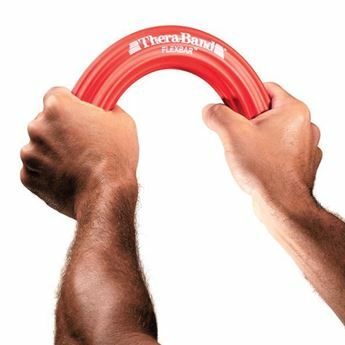 Quad Care Utensil Holder can be adjusted to fit palms measuring 18 to 23cm in circumference.